Are you under the impression we're not going to use Andrew Kramer's light saber preset in Android Insurrection? You shouldn't be. There are some things which just seem fishy. Like the idea that The Confession, a web-series made exclusive to Hulu, is profitable. Videoguys has a system recommendations page for PC's and Mac's. I do want a dual-6-core Mac, but it's going to run us $4500 even with an education discount. Name your shared folder something non-stupid. Stu on Dropbox naming conventions. Writing the Pandora Machine Wiki has made me think through our procedures. A shocking number of those procedures have to do with logical naming of folders and files so that they can be easily found. The boys down at Abel Cine on color sub-sampling. Yup, you actually need to know this. I have more liquor and food in my apartment than I ever had before. Partay tomorrow! Greedo was played by a woman. Or, at least some of the shots Greedo was played by a woman. 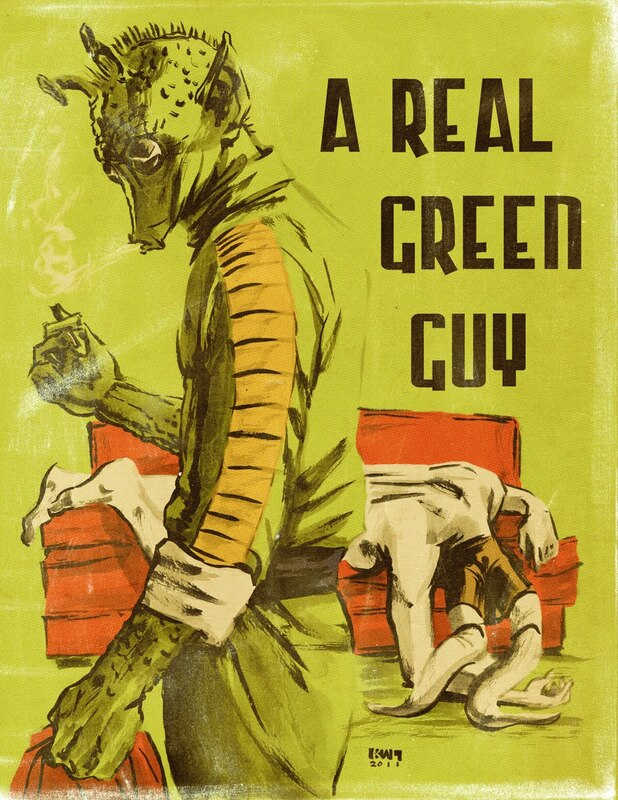 Sometimes Greedo was played by a man. Which is, of course, awesome. Regarding the Confession thing... it would help if they told us what the budget of the show was, how many views they got on Hulu, and how much money a show gets per ad on Hulu. Of course, they don't tell us any of that, because that involves actual numbers. So they just brag that their show is "profitable." Yeah, the Confession thing is just all... fishy.